The search is over ! 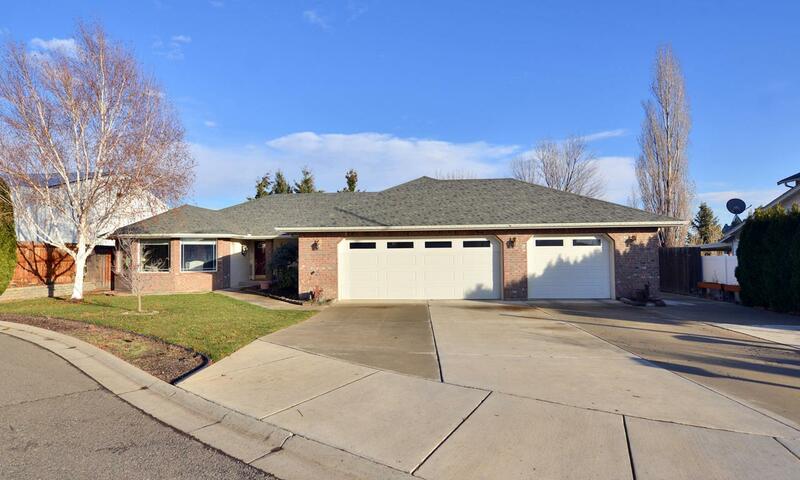 This quality built west valley rambler is move in ready. Situated at the End of a private cul-de-sac this custom home has everything. Step inside the tiled entry and immediately on your left is a spacious front room wrapped in large picture windows. Continue straight into a large den with charming gas fireplace and view of the backyard and expensive patio. The open concept kitchen and den are ideal for entertaining. There is also a very large formal dining room with built-in hutch. You are sure to enjoy the beautiful hardwood floors throughout the main living spaces. Each of the bedrooms are extra-large and provide ample natural light. The master suite is complete with the double vanity bathroom and plenty of storage and extra's.There is an attached three bay heated garage. Lots of work space in this over-sized garage. Ideal for projects and hobbies. A recent expansion of the back deck provide lots of space for entertaining and barbecue. This Covered area makes this a nearly year-round space. Incredible care has been taken of this home. Listing provided courtesy of Moriet Miketa of Heritage Moultray Real Estate Serv.